Pen Pals & Picture Books: Introduction to the World of Fantasy Novels... and several great gift ideas for fantasy fans of all ages. Introduction to the World of Fantasy Novels... and several great gift ideas for fantasy fans of all ages. I am proud to say... I LOVE FANTASY! When I immerse myself into a well written fantasy book the whole world melts away, and I love that feeling. so. much. With Christmas on the horizon (and book gifting happens to be one of my very favorite types of gifting) I'm compiling a small list of a few favorites in the genre of fantasy for those of you who like to give books too. Today I'm branching out a little, I'm going to include books from pre-school age and up in order of what I think is appropriate age level- so here we go. I'm beginning with "Where The Wild Things Are" by Maurice Sendak, which I consider to be the perfect place to start your child out as a life long fan of fantasy. This book should be a part of every child's at home library from day one. In the story young Max is driving his mom bonkers to the point of being sent to bed without any dinner. He then retreats into the world of the Wild Things where he quickly becomes king. This classic story is the perfect mix fantasy and reality at its finest. When my oldest was two he could recite the book... which I have found is not that uncommon with young children and this particular book. 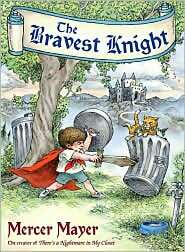 Next I present "The Bravest Knight" by Mercer Mayer. 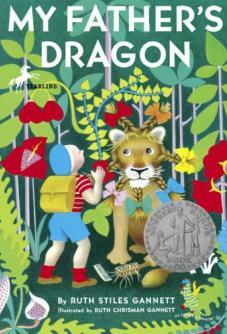 The hero in this adventure longs to go back in time and live in the day of castles and dragons. His imagination takes him there... but imaginations can sometimes take you further than you want. This simple fantasy story has the wonderful and recognizable illustrations of Mayer (who I love). The story is simple and delightful. Fantastic fantasy for your pre-schooler. Now I move on to early elementary age children. "My Father's Dragon" by Ruth Stiles Gannett (written in 1948, it received a newberry honor in '49) is a wonderful 'tame' fantasy novel. A chapter book with short chapters, sweet illustrations, fantastic map end-pages and a great story; it's wonderful as a read-aloud to pre-readers (I used it a few times as a Kindergarten teacher in class) but it's also perfect for the young independent fantasy reader. 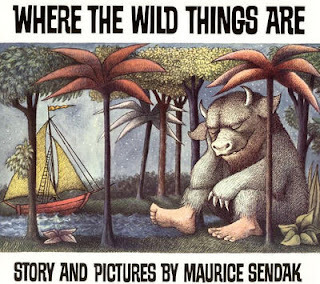 This story it told by a boy about a journey his father took to wild animal island, it goes on to tell of all the adventures he has along the way as he meets the wild animals. The book has nothing questionable in it, just fun old fashioned adventure. There are 2 sequels to this novel, I enjoyed them both, but not as much as the first. 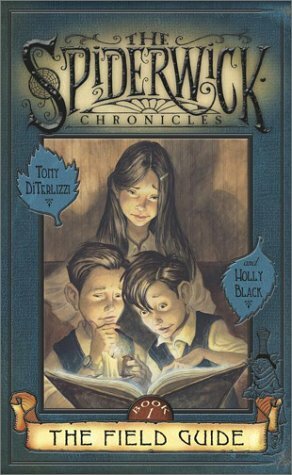 "The Spiderwick Chronicles" by Diterlizzi & Black are the best fantasy books I have ever read written for 7-12 year olds (you should know I read them to myself and loved every minute of it, I then had my husband read them to himself, he also really enjoyed them) . Having said that, these books are not for the faint of heart. Several times I have tried to use these as read alouds for my 6 & 4 year olds... we have never gotten far, they just get too scared. There are 5 books all with short chapters, fanciful illustrations (including a map), and tons of crazy twists and turns. Each book leaves you wanting more. In the story a broken family is starting out fresh in an old family home when Jared (the main character) discovers secrets about another world (which can't be seen by the naked eye) all around him that his long-gone great uncle chronicled in a field guide. I believe this set would be just right for independent fantasy readers ages 7 and up (depending on how much fantastical world scariness they can handle). Obviously everyone knows about Harry Potter by J.K. Rowling (recommended for ages 9+ and fyi the books get more young adult as the series progresses... those last books get down right terrifying and 'adult like' in places). 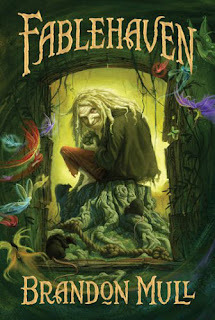 I really didn't need to include this book in my list of fantastic fantasy... other than I just think it's so important to pay homage to books that have given life to reading for so many children (and adults). 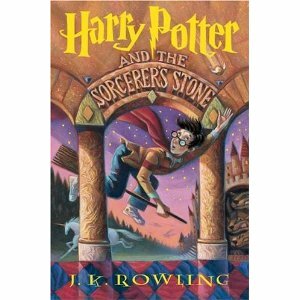 I bet there are millions of people who didn't 'like' reading before they picked up Harry Potter. I own the whole hard back set (each of which I have read repeatedly) and I'm going to go out on a limb and say that if you know someone who likes Harry Potter but doesn't own the books they would make the perfect Christmas gift. Brandon Mull's Fablehaven series (5 books in all) was an absolute pleasure for me to read. I actually read these aloud with my husband... it was so much fun. Mull has created this wonderful reality where all things fantasy actually exist, regular people just don't know about it (...okay that part's similar). The fanciful creatures in the world are protected on preserves (or havens if you will) Seth & Kendra -brother and sister- go to spend a weekend with their Grandparents where they discover the world of fantasy and find out that grandma and grandpa are the caretakers of 'Fablehaven'... really a terrific series. Great for ages 9 and up, either read independently or as family read-alouds.